Cutting Edge Sports Management, hosts of Dream Bowl V, the nationally-recognized small college football all-star game, will be honoring armed forces athletes at this year’s Dream Bowl Weekend. CEO/Founder of CESM and the Dream Bowl, Neil Malvone, announced today that the Dream Bowl will select one Dream Bowl Armed Forces All-Star from each of the three D-I football playing academies, Army, Navy, and Air Force. 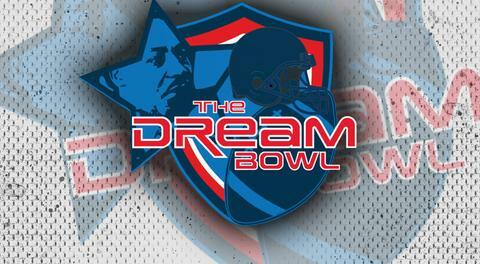 Those players will be celebrated throughout Dream Bowl Weekend and will participate in this year’s fifth annual Dream Bowl on January 16, 2017 at the Virginia Beach Sportsplex in Virginia Beach, VA.
Dream Bowl V is part of Dream Bowl Weekend which will take place during Martin Luther King, Jr. Weekend in the Hampton Roads/Norfolk region which is home to many veterans living on and off the bases in the area. Dream Bowl Weekend will also include the inaugural HBCU Spirit of America Bowl, an all-star game celebrating the student-athletes at our nation’s celebrated HBCU schools. Both games will feature the best football players from around the country to showcase their talents in front of NFL and CFL scouts. Dream Bowl Weekend will also include a Career Fair for the student-athletes and veterans. The Dream Bowl and the HBCU games will be televised again on The American Sports Network with its broadcast reach along the Sinclair media network of over 70 million households. The audio feed will air nationally through Tune-in media. CESM and its scouting partner, Optimum Scouting, will be leading the selection process. Recommendations are welcome and can be submitted through social media @TheDreamBowl, @OptimumScouting and through the Dream Bowl official website, www.dreambowl.net. Sponsorships for the Dream Bowl Armed Forces All-Stars are available through ROI Sports Marketing Group.